Amnesty officially recorded at least 527 executions in 2010, down from at least 714 in 2009. 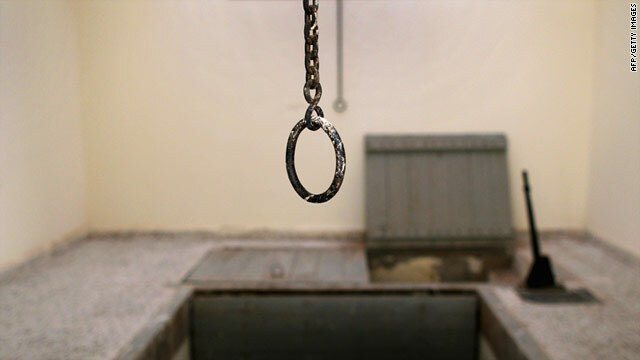 (CNN) -- Thirty one countries have abolished the death penalty but China, Iran, Saudi Arabia, the United States and Yemen remain amongst the most frequent executioners, according to a new report from Amnesty International released Monday. The human rights organization officially recorded at least 527 executions in 2010, down from at least 714 in 2009. The leading regions for executions, according to Amnesty, are Asia and the Middle East, with eight of the top 10 nations from those areas. "While executions may be on the decline, a number of countries continue to pass death sentences for drug-related offenses, economic crimes, sexual relations between consenting adults and blasphemy -- violating international human rights law forbidding the use of the death penalty except for the most serious crimes," said Salil Shetty, the group's secretary general. The totals in the Amnesty report exclude China, which carries out the death penalty more than the rest of the world combined. "China is believed to have executed thousands in 2010 but continues to maintain its secrecy over its use of the death penalty," the Amnesty report said. "China used the death penalty in 2010 against thousands of people for a wide range of crimes that include non-violent offenses and after proceedings that did not meet international fair trial standards." Chinese authorities could not immediately be reached for comment. The human rights group flagged China, along with Egypt, Indonesia, Iran, Laos, Libya, Malaysia, Thailand, United Arab Emirates, Saudi Arabia and Yemen, on imposing death sentences for drug-related crimes. Amnesty cited Iran, Pakistan, Saudi Arabia, Sudan, and the United Arab Emirates for executing people under the age of 18. The United States carried out the fifth highest number of executions in 2010, with a total of 46. Sixteen states have abolished the death penalty. Illinois did so this year. The level of public support for capital punishment in the United States has stayed relatively steady during the last decade, according to Gallup. Five out of the last 10 years, 64% of Americans have backed the death penalty in cases of murder. About three in 10 oppose executions. Amnesty sees hope in the 25% decline in executions as the group pushes for abolishment. "Any country that continues to execute is flying in the face of the fact that both human rights law and UN human rights bodies consistently hold that abolition should be the objective," Shetty said. "A world free of the death penalty is not only possible, it is inevitable," he said. "The question is how long will it take?"